THE MT INTERVIEW: Having seen off two boardroom coups and a period of financial carnage, Veolia's boss has got profits flowing again. Now he has to keep growth on stream too, in spite of France's stagnant economy. Antoine Frerot has the look of a survivor. A stocky, thick-skinned man with wary eyes, but also flashes of humour, he has been through more challenges in the past few years than most business leaders encounter in a lifetime. Somehow or other, he has made it to the other side. If there was a nuclear strike on Paris, he'd be one of the few people emerging from the debris, slightly battered, perhaps, but otherwise unscathed. The chief executive of the French water and waste conglomerate Veolia, he runs a company with more than 200,000 staff and revenues of close on EUR30bn. In the UK, Veolia runs services such as rubbish collection and street cleaning for local councils, as well as water operations and water management. It came out of the dotcom madness, when it was part of the Vivendi conglomerate, loaded up with debt and mixed up in the kind of strategic whirlwind that only a stock-market bubble can create. Frerot has spent a lot of his career cleaning up messes, both real and metaphorical, and he was the man landed with the task of clearing up this one. Along the way, he has encountered some ferocious opposition, both internally and externally. But he is also starting to get to a place where he is finally presiding over a business that is both stable and growing - a considerable achievement. Frerot comes from a very classically French background. He was born into a middle-class family in one of the small towns close to Fontainebleau, best-known for its magnificent chateau, and Insead, Europe's leading business school. 'My father was the mayor of the village, so I was aware of the importance of public affairs from an early age,' he recalls. Marked out as a high achiever, he took his degrees at the ecole Polytechnique, the most prestigious of the grandes ecoles that are the traditional training ground for the French elite. He then went on to do a doctorate in civil engineering at the ecole Nationale des Ponts et Chaussees before starting his working career at the Cergrene think-tank attached to the college, which he went on to run from 1984 to 1988. He then made his switch into finance and industry, a more natural home for an ambitious young French engineer. For two years, he worked for Credit National, before joining in 1990 what was then still the Compagnie Generale des Eaux (CGE). CGE was in many ways a strange beast. It began in 1853 when it was granted a licence by Napoleon III to supply water to Lyon, and a decade later it won the concession for Paris as well. In most countries, water supply was run by the state, at least until the privatisations of the 1980s and 1990s, but in France it was always a private-public partnership, and CGE was thus unique in being a major water supplier that was also a business. By the time Frerot joined in 1990, it had already started to move beyond its origins. From 1980 onwards, it had started buying construction and waste companies, and in 1983 it helped create Canal+, the first French pay-TV service; the beginning of its adventures in telecoms and media. 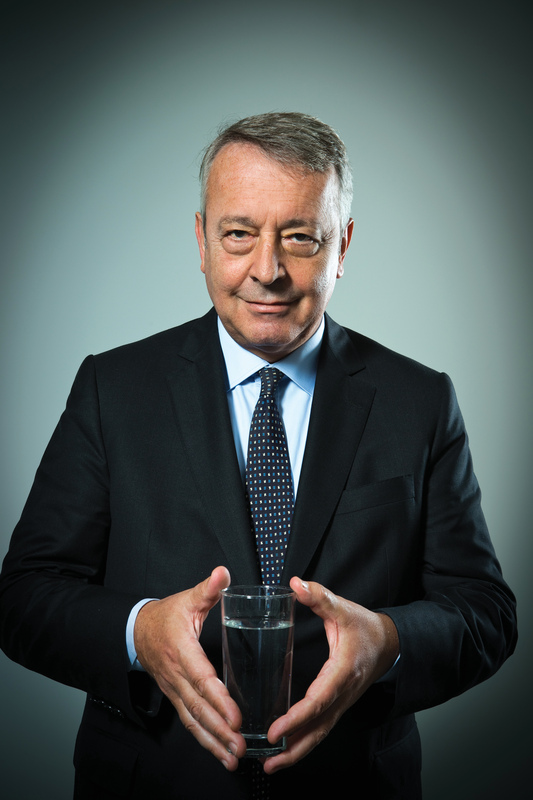 In 1996, while Frerot was still climbing the ranks of what was essentially a water company, Jean-Marie Messier became CEO. The dotcom-bubble era was in full swing and the hyper-ambitious Messier wanted to be a high-rolling media tycoon. Buoyed up by a bull market, which was throwing money at aggressive CEOs, he embarked on a round of acquisitions of media and broadcasting businesses, which culminated in a merger with Canada's Seagram, owner of the Universal film studio and music labels. Renamed Vivendi, it was suddenly one of the biggest media companies in the world. In 2000, Messier spun off the water and waste unit into Vivendi Environment, which changed its name to Veolia in 2003, but the story did not end happily. In 2002, Vivendi slumped to a loss of EUR23bn, and Messier was forced out. Although the company staggered on and has now been nursed back to health, it left a trail of financial carnage in its wake. Meanwhile, Frerot was working his way up the newly renamed Veolia, becoming CEO in 2009, following the controversial departure of Henri Proglio, who left to run the electricity conglomerate EDF. As he looks back on the Messier era, however, he can see some of the merits of his former boss, as well as the obvious failings. If nothing else, he appreciated that businesses had to evolve, even if the direction turned out to be slightly bonkers. When Frerot took over as CEO, the legacy of debt from Veolia's past combined with the financial crash meant that despite stable cash flows from its core water and waste business, it was struggling to pay its way. In 2011, it took huge writedowns, which triggered a 60% fall in its share price. It's now just over EUR14, very substantially down on the EUR50 or so of 2007. That isn't easy at the best of times, but doing it in a recession, when you are also burdened by too much debt, is even harder. Yet on top of that, Frerot also had to face down opposition from his own board. Since taking over, there have been two attempts to remove him as CEO. Frerot saw off that challenge to his authority, but there was another attempted coup earlier this year, led by the veteran French industrialist Serge Dassault. Through his company, he had acquired a substantial holding in Veolia following the 2008 crash and reportedly wanted Frerot replaced with a different leader. With a dogged survivor's instincts, however, Frerot has ploughed on, and he has started to get results. The latest figures suggest Veolia has started to turn a corner. Net profit for the first half of this year was EUR151m, compared with EUR4m for the same period last year, on half-year revenues up as well at more than EUR11bn. He can, however, point to areas where Veolia is making progress. 'Oil and gas companies now need water services because they are developing shale gas,' he says. 'So they need specialist help to treat this water. Another example is food and drink, which need a lot of energy, and also to dispose of a lot of waste, so we propose to them that they use this waste for energy.' In its latest results, Veolia highlighted the two biomass plants in Canada that it built and now operates, which will generate more than EUR1bn for the company, as well as contracts to dismantle and dispose of trains and military equipment. Even so, Frerot has survived two boardroom coups and got profits growing again. That is a significant achievement, and if he can keep the momentum going, he should survive for a few years yet - even if the hunted, wary look in his eyes is not about to disappear any time soon.